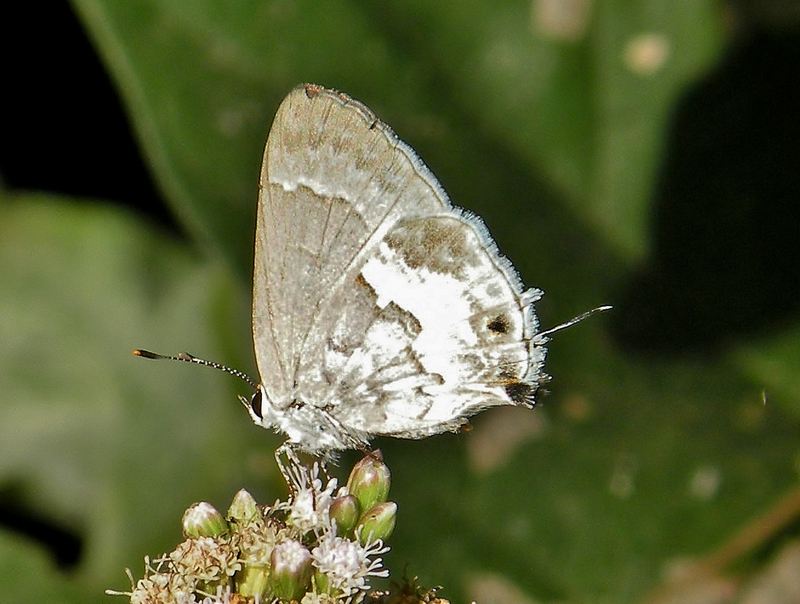 Identification: Upperside gray with large areas of white patches. 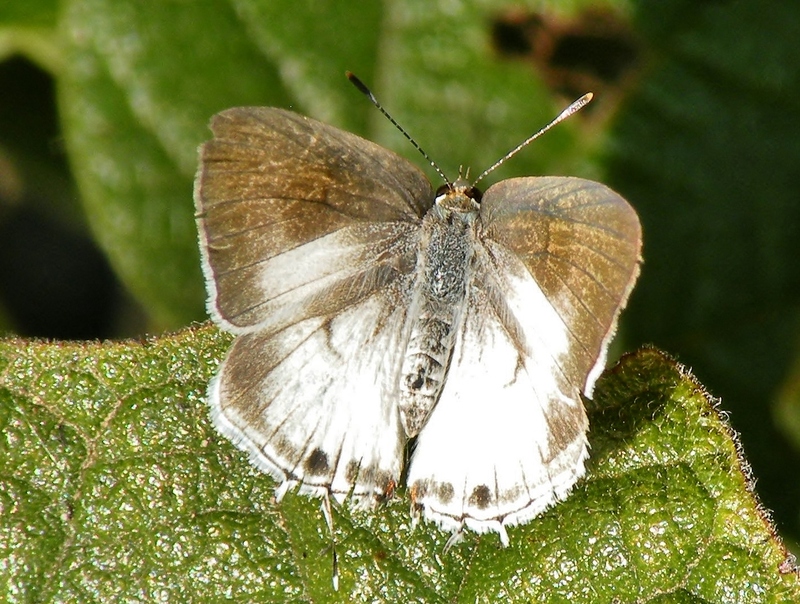 Underside of hindwing pale gray with faded postmedian line; eyespot near tail does not contain orange. Life History: Eggs are laid on leaves and flower buds of the host plant. Caterpillars feed on flower buds and young fruits. Flight: Possibly two broods in South Texas from June-December, throughout the year in the tropics. Caterpillar Hosts: Abutilon incanum in the Malvaceae family. Adult Food: Flower nectar including blue boneset. Habitat: Second growth and shrubby fields in seasonally dry tropical lowlands. Range: Venezuela and Columbia north to Mexico. A rare stray to South Texas. Conservation: Conserve any populations in South Texas. Management Needs: Set aside more Tamaulipan brushland habitat in the Lower Rio Grande Valley.